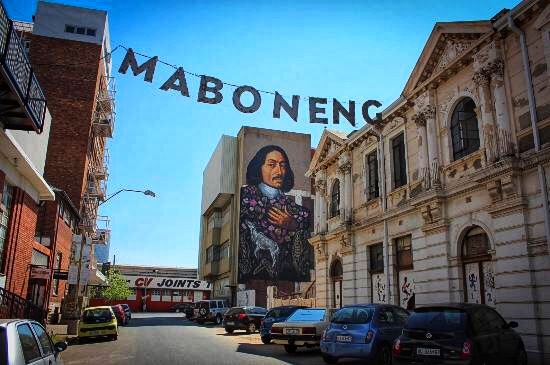 Maboneng, meaning “Place of light” in Sotho, has just been recognized as one of the coolest suburbs IN THE WORLD, named so by Forbes business magazine, beating Manhattan in New York and Soho in London! Its a space that was a whole lot of abandoned warehouses and offices, including the offices of a former Mayor. It’s now a vibey and stylish urban neighborhood filled with quirky shops, delis, galleries and tons of eating places. And it just keeps expanding and getting better. 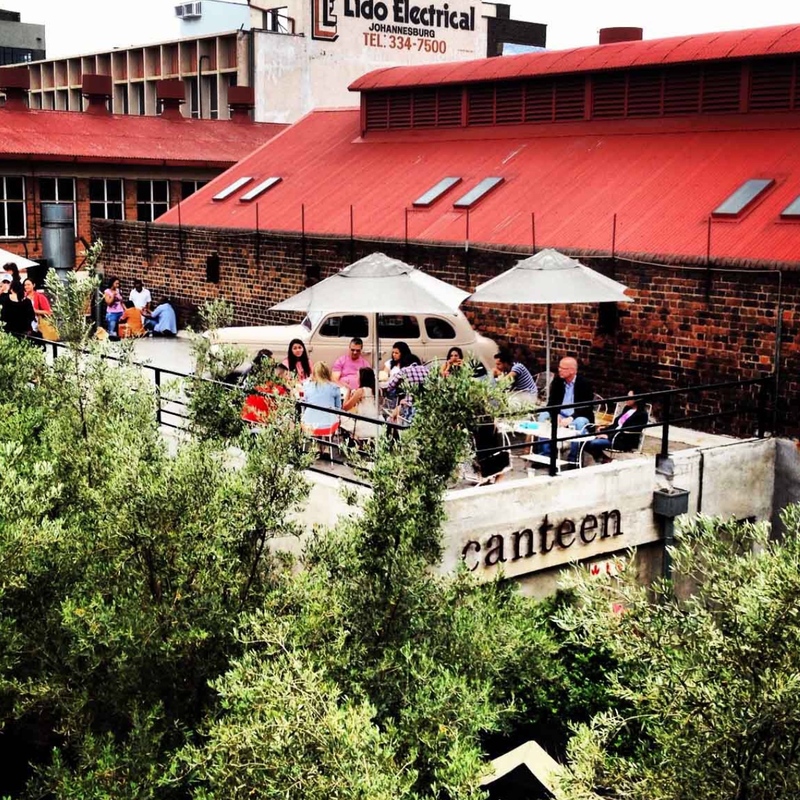 It’s the best of street culture in Johannesburg. 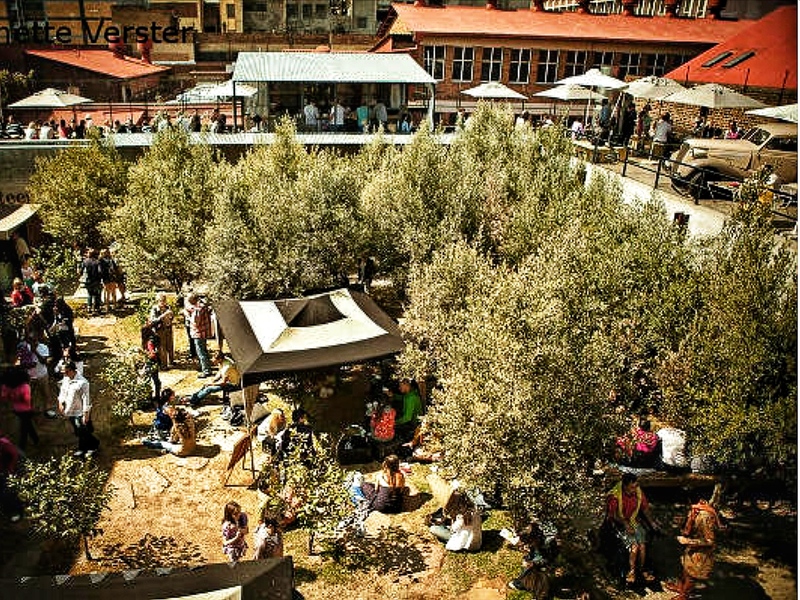 Or sit on brightly colored cushions under the olive trees in the entrance square and drink stand up straight Ethiopian coffee. The real thing. 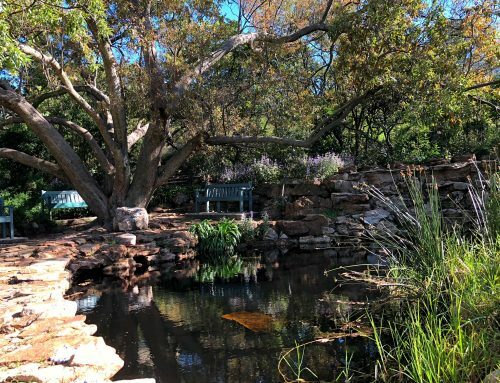 Grab a delicious plate of flame-grilled steak, or beer-battered fish, my favorite, Rob’s favorite is a burger and chips, at Canteen restaurant in the corner of the courtyard. They serve great craft beer. Relax and watch people, from all corners of the globe. Or sip a cocktail in a jam-jar (if its non alcoholic you want, try their homemade lemonade) while you watch the salsa dancers on the rooftop of the Canteen. Stroll around and check out some local design and vintage clothes. William Kentridge has his studio here. And David Krut projects, part Art gallery promoting SA contemporary art, and part Bookstore, is well worth a visit. Browse through books you won’t find anywhere else. 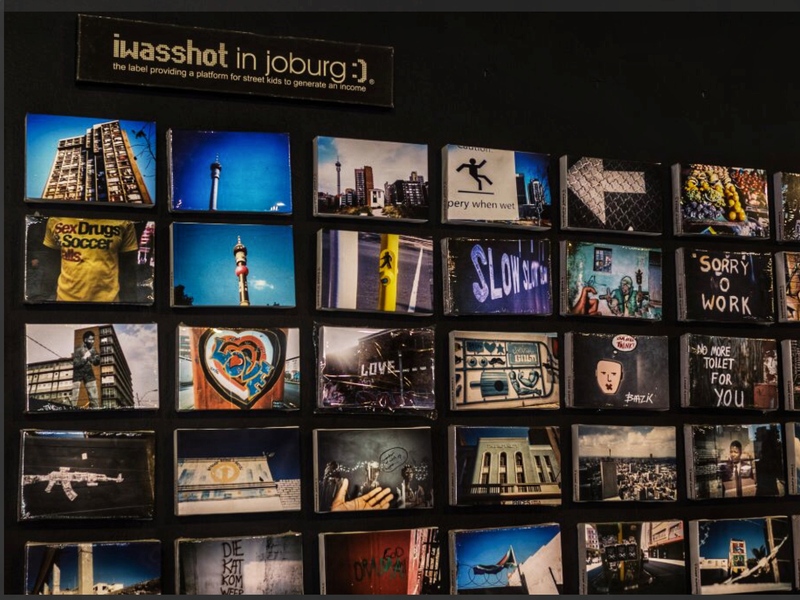 Iwasshot in Joburg:) is an inspired project, and in their shop upstairs in Arts on Main, you can buy canvases, postcards, notebooks, magnets, all printed with photographs taken by street children. The project started by giving street children disposable cameras to capture their stories on film. This idea transformed into a gallery. Now the initiative has grown to include Iwastrashed and iwasmade. All locally made recycled handcraft for sale via the market or the website. 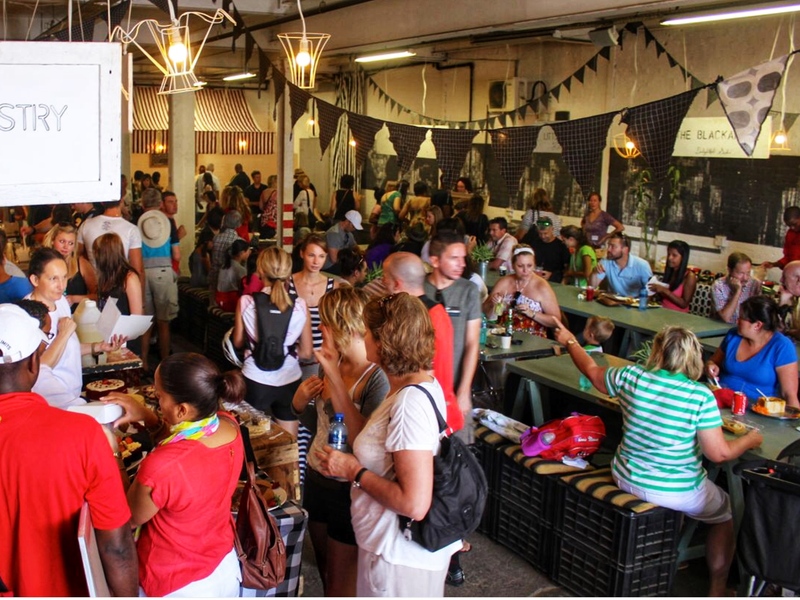 The latest innovation is team building where corporates get to experience Maboneng. 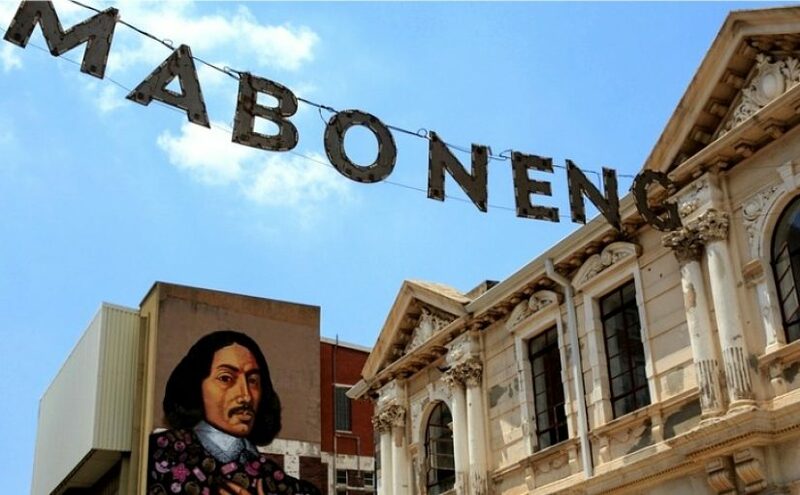 Jo Buitendach, an inner city specialist guide, picks this as a really worthwhile visit in Maboneng. She organizes great inner city tours through her company Past Experiences. Good value, entertaining and informative. 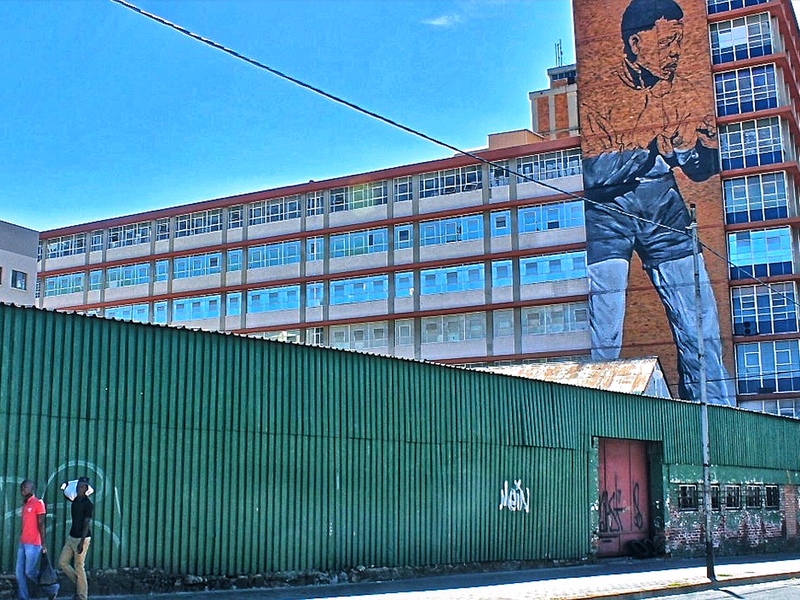 The Madiba mural was painted by Freddy Sam. It’s a 10 storey-tall 40 metres tribute to Nelson Mandela in memory of his belief in Ubuntu – I am because we are. Good photography opportunity. 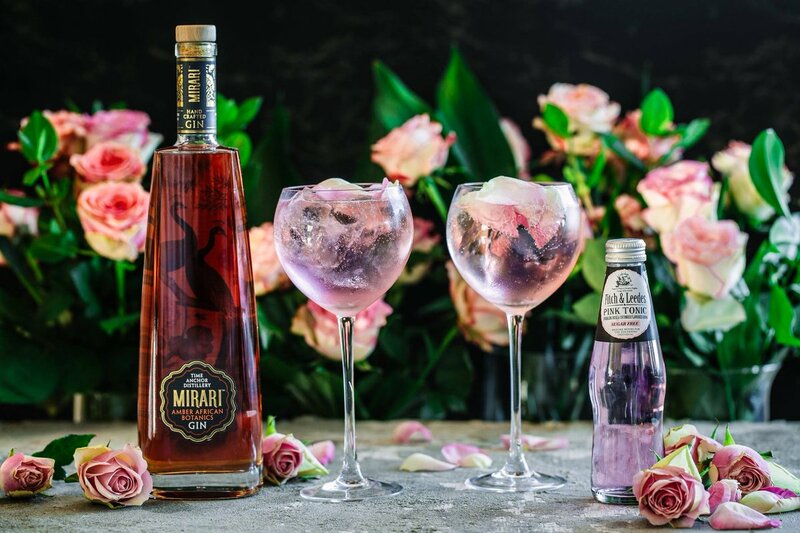 Time Anchor Distillery (TAD) is a new distillery in the heart of Maboneng and distills it’s own brand called Mirari Gin in small batches. 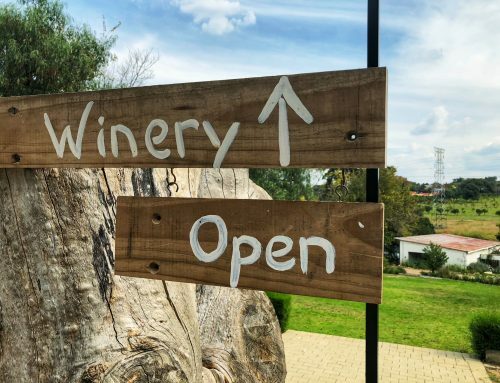 Take a tour and a gin tasting over the weekend. Booking is essential. The tasting is good value for money and comes with various garnishes to enhance flavours. 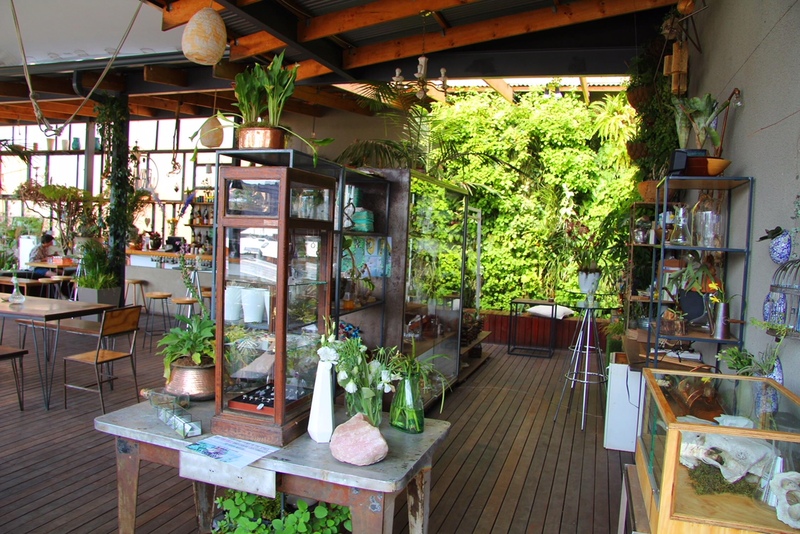 The Living Room is a relaxed plant filled rooftop cafe, with great city views. 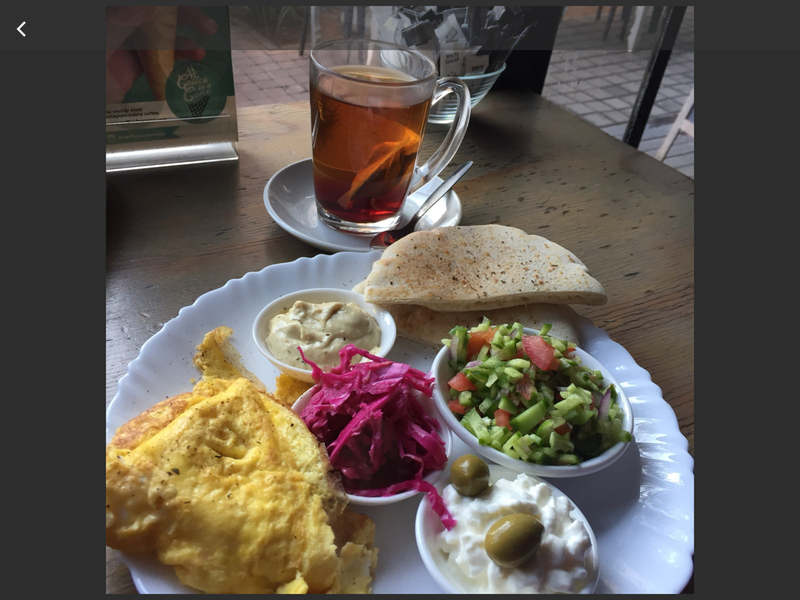 Good casual food choices include healthy meze, salads and smoothies. 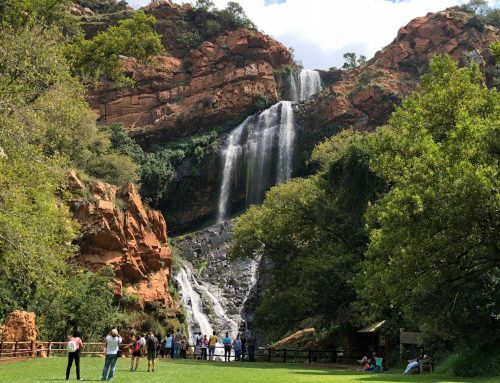 “Our Sunday culture has become an institution for great music, awesome people and good vibes, hosted from 11am till 7pm” – check out what music is on this weekend on their fb page. 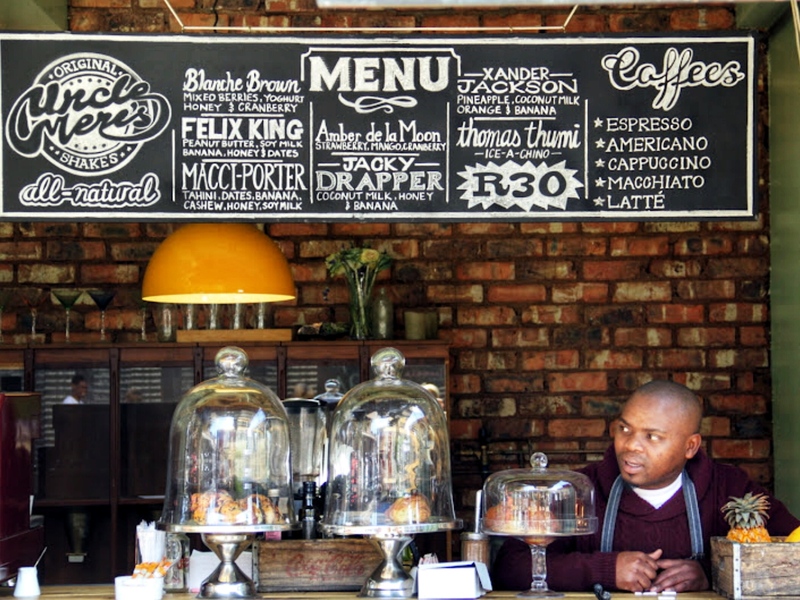 Try Pata Pata café for traditional African cuisine. 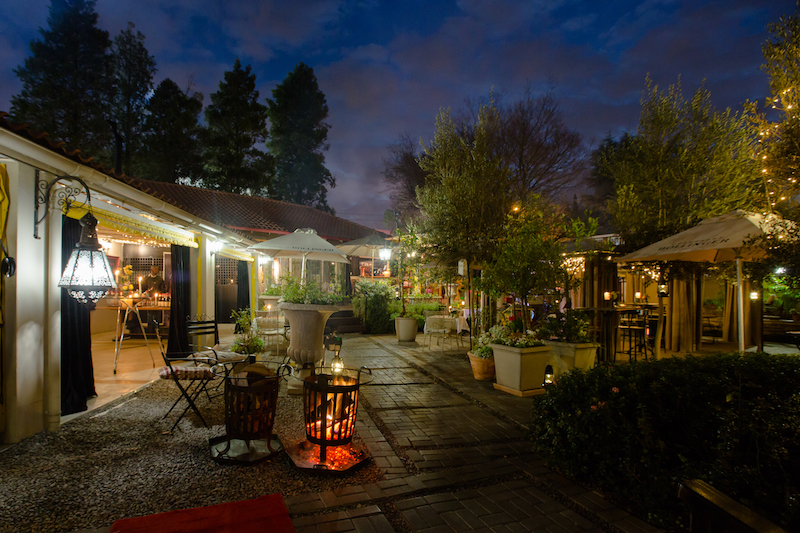 It was inspired by 1960’s township jazz, and its eclectic mix of furnishings invites one to relax and unwind. 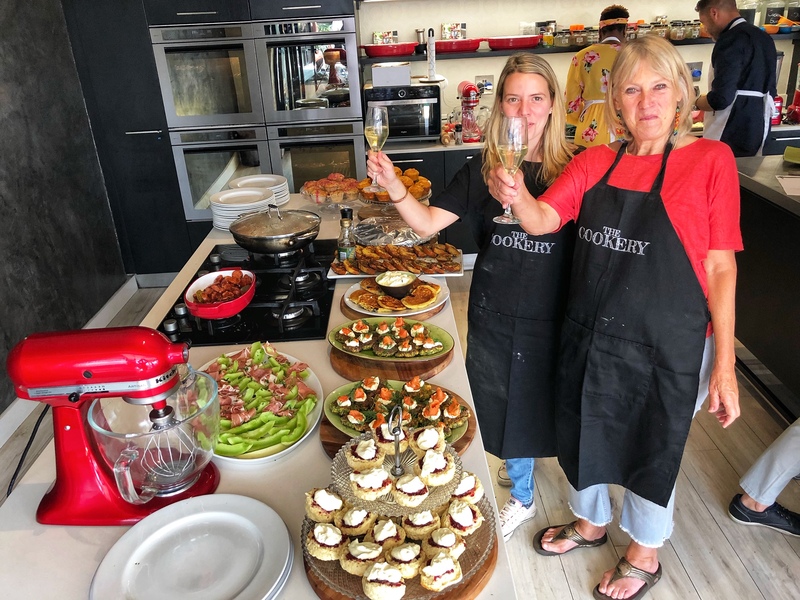 On offer are simple meals like burgers, wraps, salads and signature dishes including stuffed chicken breast, lamb shank, oxtail stew and crocodile wors. 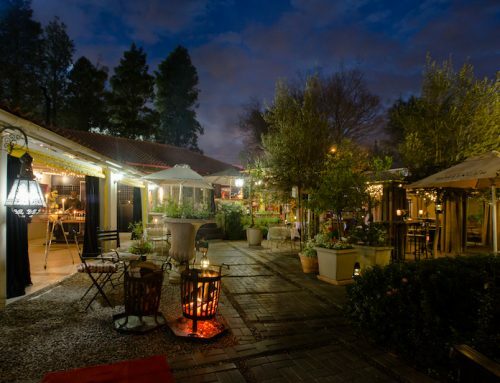 The restaurant is known for their live entertainment with a regular live jazz tunes, so a great chilled night out with friends. 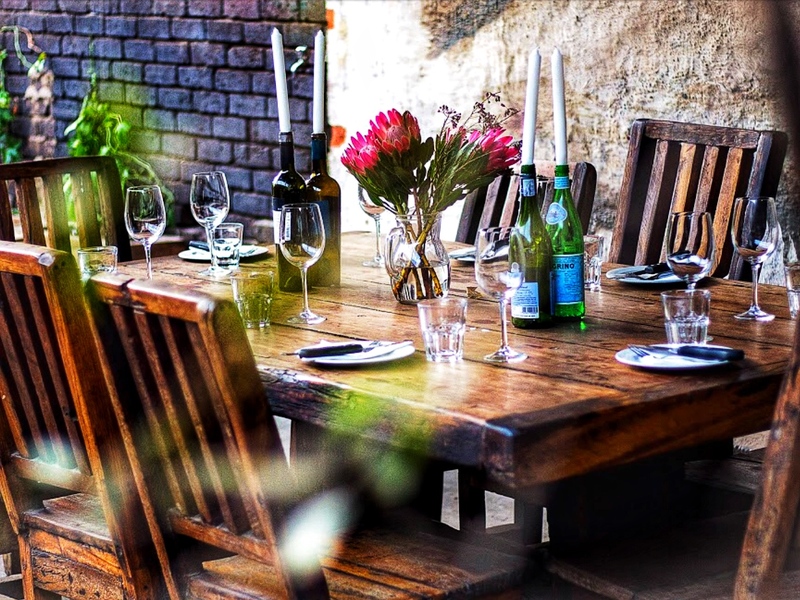 House of Baobab specialises in traditional african cuisine from east and west Africa, Senegal and Morocco. 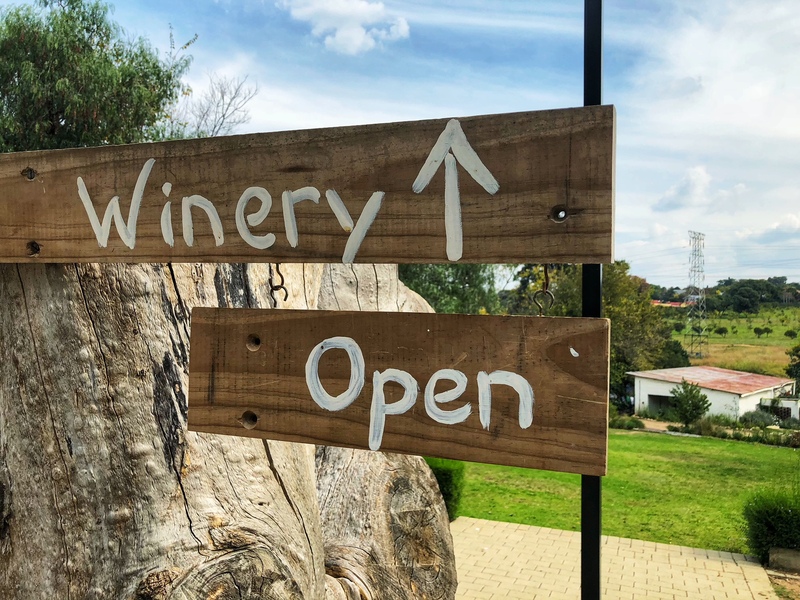 The restaurant serves dishes such as peanut butter veggie stew, traditional lamb stew, mango atchar, African style spinach, cous cous and fish dishes. Be sure to try the African buffet and home brewed hibiscus and ginger juices. 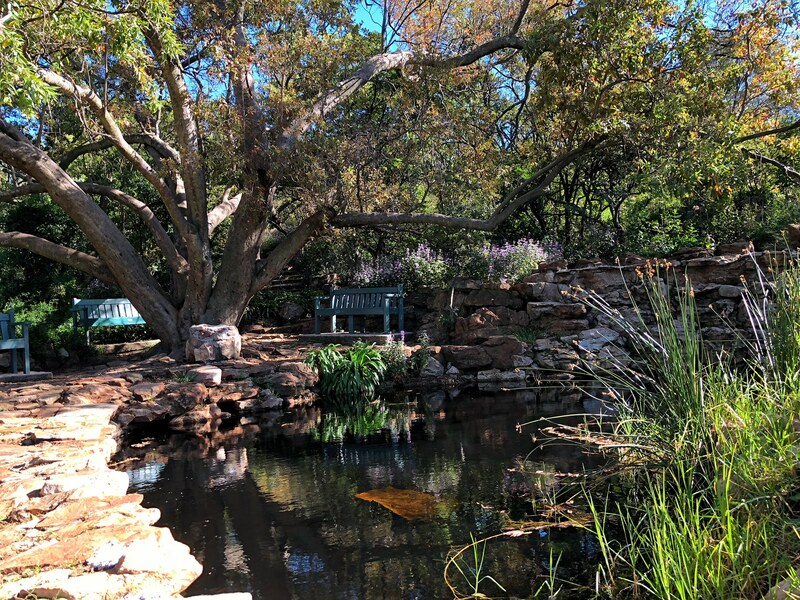 A guest described the restaurant as “Quaint and exotically earthy African. When you enter the restaurant you are automatically transported to a mystical Africa” Its always described as warm and friendly. Little Addis is a little gem, and is renowned for its authentic Ethiopian food. The food is absolutely simple and scrumptious. Great for vegetarians, plenty of vegetable options. Che Agentine grill is definitely for carnivores, run by Oscar and Bernardo, two Argentines who specialise in unique and tasty grills. Eat Your Heart Out serves Jewish inspired food including shakshuka, bagels, hot pastramis and rye…Lots of good reviews and cant wait to have breakfast here…open all-day breakfast, lunch, hot and cold drinks and awesome daily cakes and sweets.